The Motorola Atrix was one of our favorite new phones at CES this year and it looks like we may not have to wait too much longer for it to hit the market. Android Central got its hands on a leaked internal AT&T screen that shows a March 1, 2011 release date for the device. Unfortunately there’s still no data on price. The Atrix 4G won a lot of attention for its impressive stats and unique feature. The Android smartphone has a fingerprint sensor, 4G connection speeds, 1GHz Nvidia Tegra 2 dual-core processor, 1GB of RAM, 16GB of internal storage and a gorilla glass 4-inch touchscreen. Pretty good stats for a phone, but the Atrix is more than meets the eye. 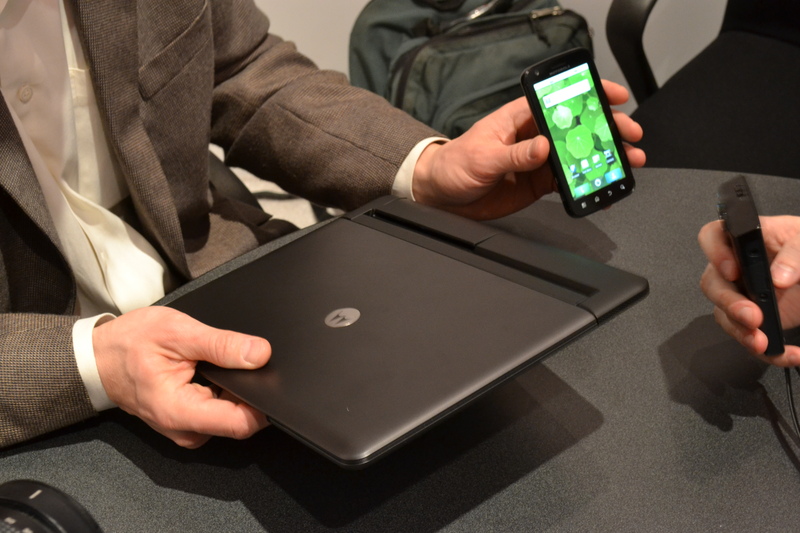 The phone can dock into a laptop shell and become a netbook computer. Better, the shell gets 8-10 hours of battery life and will charge the phone while in use. The laptop runs a modified version of Android complete with a Firefox browser, multitasking, and light apps like QuickOffice for document editing. Another dock will turn the device into a desktop computer of sorts. Still, the looming question will be exactly how much the phone + dock will cost. If the package exceeds the price of a common netbook ($300-$400), it becomes somewhat impractical. The only big downside to the Atrix: it’s an AT&T exclusive. AC points out that the release date of March 1st, while possible, is a Tuesday, going against AT&T’s usual Sunday release schedule. Still, representatives said the phone would arrive in the first quarter of 2011. Anytime after March 1st is pushing it. More on the Atrix when it becomes available.